They're not to everyone in my family's taste, but they are an element of the landscape in my local area, and one of my favourites, freshly picked and dipped in some sea salt. Radish farmer Scott Watson farms a large area of land close to Feltwell on the Norfolk / Cambridgeshire border. I pass the neighbouring village on the way to work, but don't usually turn off that way. 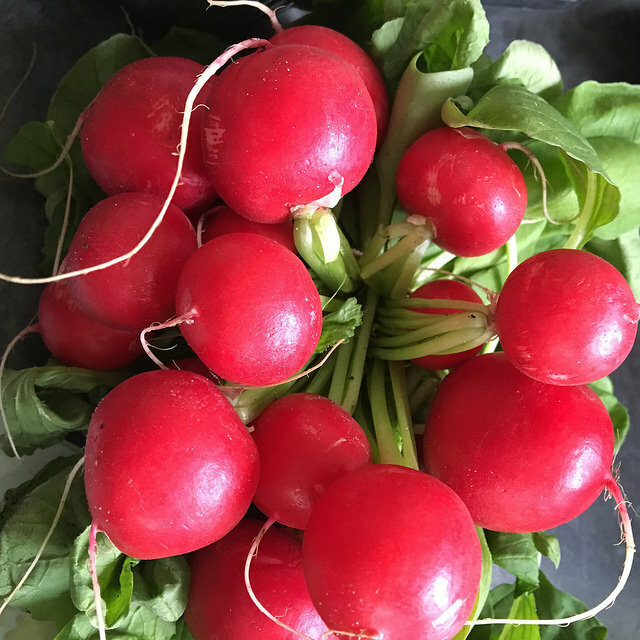 Feltwell is one of the biggest areas dedicated to growing radishes in the UK – around 406 hectares in total. The Radish season is now well underway, and Scott's little red globes are rolling along the conveyor belt in their tens of thousands. You can find out more about the work that Scott and his team do in various locations, as it turns out he has been interviewed numerous times, and featured in a number of resources. He was also in the local paper a few months ago, at the start of the season, as he started using a new £1 million production facility. What crops are grown in your own home area? 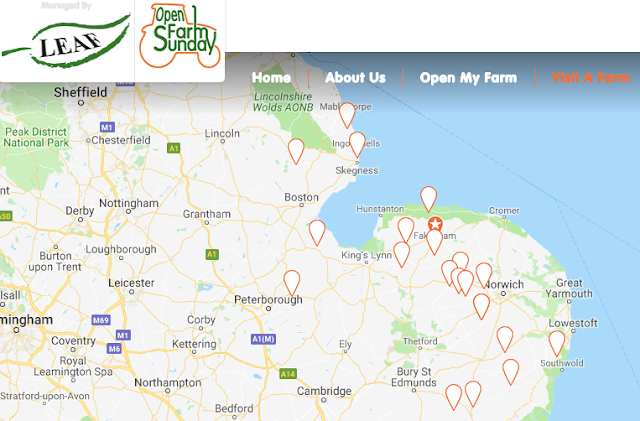 This weekend and next weekend many farms are opening their gates for Open Farm Sunday.